Come and allow yourself to unplug and reconnect with the vast interconnected web of both the seen and unseen forces in Nature. Hear the voice of the vast web of Nature Consciousness and drop into your heart space and find your voice through the drum. In the shamanic journey, guided by the shamans drum, the brain relaxes into an aware, meditative state and we open to information and imagery hidden from us in our ordinary state of consciousness. The shamanic journey is the art of using the rhythm and intention to enter an altered state of consciousness in order to reconnect with the spiritual dimension of reality. It allows you to develop a relationship with the spiritual forces in your life and to build a sense of trust in the wisdom , insight and healing energy that you receive. It can be developed into a practice for self healing as spirit dances with you on an individual basis while trusting and honoring your own experience. The journey creates sacred space to refresh our spirit, gain insight and knowledge, connect with the nature spirits, teachers, guides, power animals and ancestors. All of this for the purpose of healing guidance and inspiration . Reconnect to Nature and yourself. Flow with the natural rhythms of life. It's time to come back to Nature. Bring along a journal, pen and something personal for the altar. 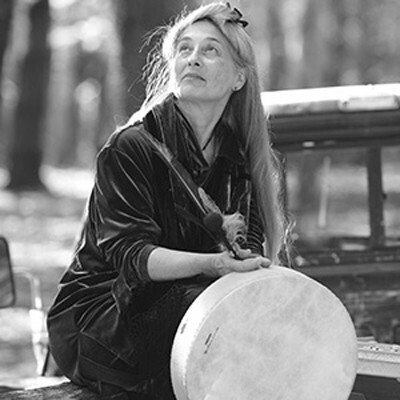 Barbara is a certified herbalist, plant spirit healer, plant communication educator, experienced drummer and a facilitator of a shamanic plant spirit journey circle. She is also a former elementary school educator of 35 years. Barbara provides healing experiences through her herbal practice, Gifts From Nature, where she makes her salves, oils, creams, balms, etc. from the herbs she grows in her own garden or forages in the wild. She also teaches classes so others can learn to make their own medicines and provides experiences to communicate with the plants to receive their healing gifts. Her plant spirit healing shamanic practice of working directly with the consciousness and healing properties of the plants, communicating through light, sound and vibration, enhances well being on all levels. Her monthly plant spirit journey leads participants on a journey to a spirit of a local plant to receive its healing gifts. Gifts that lead them on a journey of self-discovery working with the power of the plant to bring about profound healing. Remembering that you are responsible for your own healing and true healing ultimately comes from within. Barbara's own personal in-depth studies with the plants (plant initiations or plant diets) has led to her deep understanding of how the plants operate, not only on a physical level but an emotional, spiritual and collective level. They lead you to the place where you discover who you are and what is the path you came here to walk. What it means to be more truly human. Barbara has studied with herbalist, plant spirit healer, Pam Montgomery of Danby, Vt., Shaman Rocio Alaracon from Ecuador, herbalist Matthew Wood, Shaman Adam Kane of Saugerties, herbalist/acupuncturist Jason Elias of New Paltz and many other wonderful healers and teachers.